VIRTUAL TOUR AND PROFESSIONAL PHOTOS COMING SOON Prepare to be impressed!! Located in the very desirable and coveted Olde Park neighborhood, this custom designed home is now available to purchase. The current owners took great pride when designing and constructing this wonderful home. There are so many extras, upgrades and special touches one will not want to miss. The curb appeal speaks for itself. 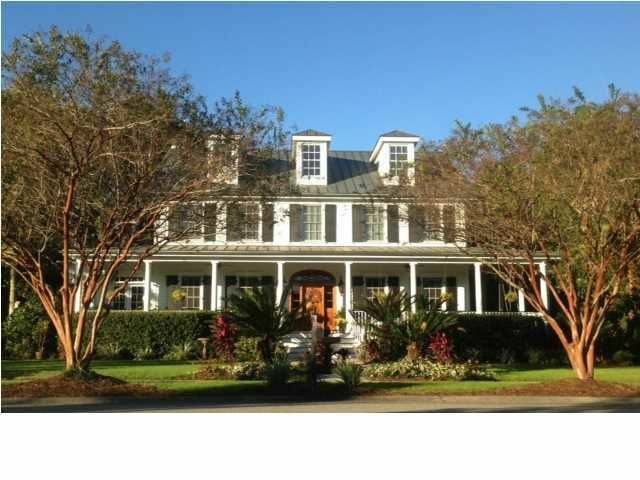 With the gracious wrap around front porch overlooking the lake, the stately three stories with captivating dormer windows that add to the traditional low country look and feel. The lush landscaping mimicks that of a tropical paradise and includes Sago, Washingtonian and Palmetto palms along with orange and grapefruit trees, lemons, limes, multiple flowering plants and more. The interior makes a complete designer statement with heart pine floors, heavy molding and trim work, chair rail, designer colors and more. The downstairs has an open kitchen with island, stainless appliances, granite counter tops and overlooks the spacious great room. Here you will find two sets of French doors, stone fireplace with gas logs, built-ins and plenty of room to entertain. There is also a spacious dining room, large eat in room, utility room that can be used as your catch all room after a day in the yard or by the pool. The downstairs bedroom could be used as a study, office or mother in law suite. There is an absolutely incredible screened porch that runs the length of the back of the house. French doors open up for a plantation feel and ease of flow for entertaining. Relax and enjoy the in ground salt water pool, outdoor kitchen with grill and tropical landscaped backyard. The second floor has three spacious bedrooms with full bathrooms and a large master suite with walk in closet, shower, separate tub and dual vanities. The third floor lends itself to a variety of options including two bedrooms with a shared bath, mother in law suite, playroom, take your pick. The FROG with full bath is the adult playroom with projector, screen and surround sound speakers make this the perfect spot for your favorite movie or tv show. Believe it or not there is so much more: Irrigation, gas lanterns, outside pool shower and changing area, living fence, 1200sf of porches and more. Do not walk, run to this spectacular home! !